I've got a pair of velvet slipper chairs that I bought on ebay a few years ago and had reupholstered that have gotten pretty stained from use. This photo shows their true color. They are a pretty teal/turquoise and I'm pretty sure the velvet is cotton. These stains are most likely from dirty feet and oreo filling. I'd like to clean them up a bit but I'm really undecided on whether this can be a DIY job or not. I have a steamer with an upholstery attachment but am worried about really ruining these. Many of the forums say to stay away from liquid when cleaning velvet but the professional boards do mention steaming and brushing. Anybody out there have any experience with cleaning velvet themselves? Should I just go for it? I can usually gain a little confidence by visiting Youtube for something like this but there are surprisingly few videos on this. P.S. I'm still at it in the garage. 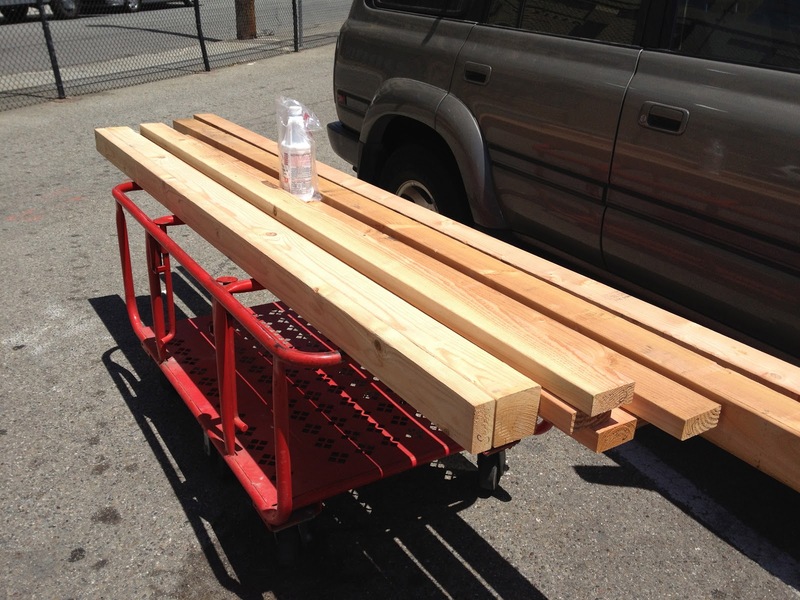 I picked up the first load of lumber today.